The Rolex Sydney Hobart Race, the last major yacht race of 2017, is set to begin on Tuesday, and this already has been Guillaume Verdier’s year. Verdier, a velvet-voiced Frenchman who likes his desk messy and his conscience clear, remains eager to deflect credit elsewhere, but his creative streak has contributed to quite a winning streak. 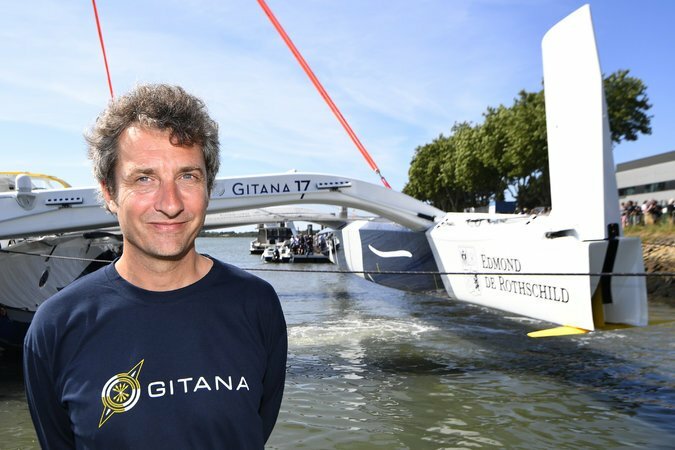 Verdier, 47, is also putting his imprint on the future of sailing. He has been commissioned to lead the design of the next generation of yachts for the Volvo Ocean Race and is one of the central figures behind the radical new America’s Cup class that was revealed in November: a 75-foot foiling monohull without a traditional keel. He is also at the leading edge both in offshore racing in often extreme conditions and, in the case of the America’s Cup, in inshore racing in much more controlled environments. Clearly, Verdier is not only a serious naval architect, but also a serious multitasker. He also, as he makes clear, gets plenty of help from his co-workers in France and elsewhere. 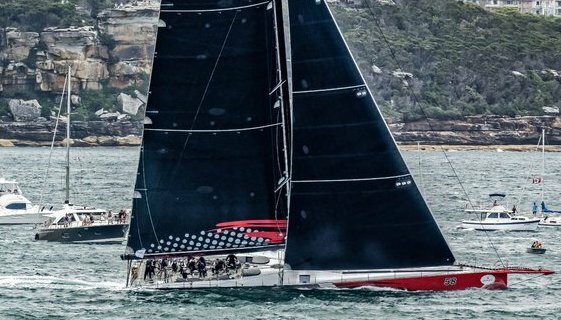 One of their masterpieces is LDV Comanche, the record-breaking 100-foot super maxi yacht that is again one of the big favorites to win the Sydney Hobart Race, this time under its very new owner, Jim Cooney of Australia. Comanche took line honors in 2015 in “the Hobart,” the shorthand Australians use for the annual spectacle, which begins the day after Christmas in Sydney Harbor. It is a 628-nautical-mile sprint south that can turn nasty, even deadly, with the unpredictable weather patterns generated by the relatively shallow Bass Strait that separates Tasmania from the Australian mainland. Verdier and his small team designed Comanche in 2013 and 2014 on a tight deadline with their frequent collaborators, the French firm VPLP. The yacht’s original owners were the American tech tycoon Jim Clark, a co-founder of Netscape, and Kristy Hinze-Clark, his Australian wife. They wanted an avant-garde boat capable of setting ocean speed records and, in a nod to Hinze-Clark’s roots, winning the Hobart. It delivered on both counts. Comanche holds the trans-Atlantic and Transpac records for monohulls. Though the Clarks, wary of the cost, did not enter Comanche in the Hobart in 2016, the maxi is now expected to be a more regular presence in the wake of Cooney’s purchase on Dec. 14. Comanche is nicknamed “the aircraft carrier” because of its exceptionally wide beam. At the stern, it is nearly double the width of some of its chief competitors, including Wild Oats XI, the super maxi owned by the Oatley family that has taken line honors eight times in the Hobart and is expected to start again this year despite a lightning strike on its mast on Dec. 17. The hours have continued to pile up with Verdier committed to many high-profile projects — none more visible than the 36th America’s Cup, scheduled for 2021. Verdier joined Team New Zealand before the 2013 Cup in San Francisco, where the Kiwis blew an 8-1 lead before losing, 9-8, to the defender Oracle Team USA. Four years later in Bermuda, Team New Zealand held firm with a new and younger crew, routing Oracle, 7-1. Both those Cups were contested in foiling catamarans, and Verdier focused on the key area of foil design for 2017. But with Team New Zealand and its Italian challenger of record, Luna Rossa, committed to returning to monohulls for 2021, there was concern in the Cup community that the venerable event was taking a step backward in design and adrenaline. No one feels that way any longer. 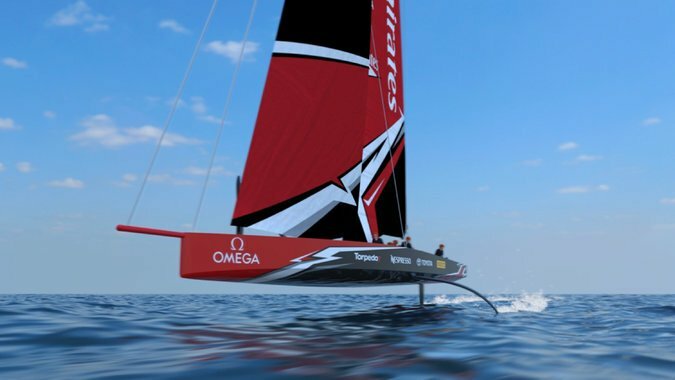 The proposed new boat looks undeniably futuristic and is expected to be the fastest monohull ever used in the Cup. Instead of a keel to provide stability, it has twin canting ballasted T-foils that have veteran sailors both excited and wary about the challenge of handling it, particularly when it is not hydrofoiling. “I’m having trouble connecting the dots in my simple mind,” said Iain Murray, the former America’s Cup regatta director and skipper who will be back aboard Wild Oats XI for the Hobart race. “I do a lot of sailing on these 70- to 100-foot monohulls. I know how fast they go, and I know how fast catamarans have to be going to get onto the foils. They basically need to be doing 15 knots, and I know what it takes for Wild Oats, which is a 100-footer, to do 15 knots. Verdier and Bernasconi say that they have done their “homework” but agree that the proposal is radical. Is Verdier 100 percent certain it will work? “I’m sure if there are things that are not going to work, we will fix it with the time we have,” he said. Bernasconi says the boat should foil at 9 knots of wind speed and be capable of hydrofoiling for an entire Cup race in the right conditions. It is still in the conceptual phase: the class rule will not be finalized until March. But before Team New Zealand won the Cup, Verdier said he had already come up with a similar design for a 38-foot monohull for a private client in New Zealand who was brought to Verdier by Ray Davies, a longtime Team New Zealand sailor. The initial drawing for that project still had a keel. The solution was to propose putting the weight in the foils instead. That 38-footer has yet to be built, but at the end of a very big year for Verdier, he and Bernasconi and Team New Zealand will soon be building a much bigger version with much more at stake.